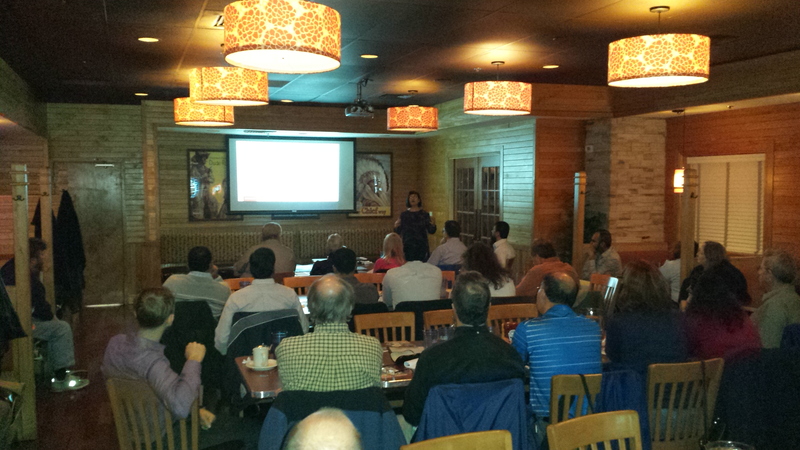 Chicago Oracle Users Group Meeting November 10th 2015 – Recap - "Hey Alfredo..."
We had another great user group meeting recently. We had two excellent presentations by well known speaker, Kellyn Pot’Vin-Gorman! The first presentation was titled AWR Warehouse and Beyond. Kellyn described what it is, how it can be used and why DBAs should seriously consider using an AWR warehouse. For those DBAs that are concerned with having to maintain more than days or weeks worth of AWR snapshots but perhaps would like to trend over months or years this is the solution for you. Take all of your individual database AWR snapshots and move them to a centralized AWR warehouse. A limited use Enterprise Edition license can be used for the AWR warehouse database repository (diagnostics pack license is required for AWR usage). More information on the licensing can be found here. This was definitely another one of those topics that makes the DBA go hmmmm. The second presentation was titled Not Your Father’s Enterprise Manager. A great presentation where Kellyn gave us a nice background on how Enterprise Manager has evolved from earlier versions to the awesome version that it is now. She reviewed some of the great new features that are now available to us in EM 12c. We had our second volunteer for COUG’s Show and Tell, Moizuddin Mohamed on Oracle GoldenGate Active-Active Replication. Moizuddin did a great job! There were plenty of questions and discussions from our members in the audience on this topic. We continue to receive great feedback on the new Show and Tell program and already have a list of people ready to present for future meetings! Our meeting was sponsored by Nimble Storage and they provided for us a really nice venue with a great dinner buffet. Thank you Nimble Storage! For our raffle, we had 2 copies of the book “Oracle Database 12c New Features” and 2 copies of the book “Oracle Database 12c Install, Configure & Maintain Like a Professional”. These were kindly given to us from McGraw Hill (thank you!). This was our 5th and final meeting of 2015. We’ll be start up again in early 2016 and are striving for the same number of meetings next year. See you then!